Bruce performed the song only once, during the 1st leg of the "Lawsuit Tour". 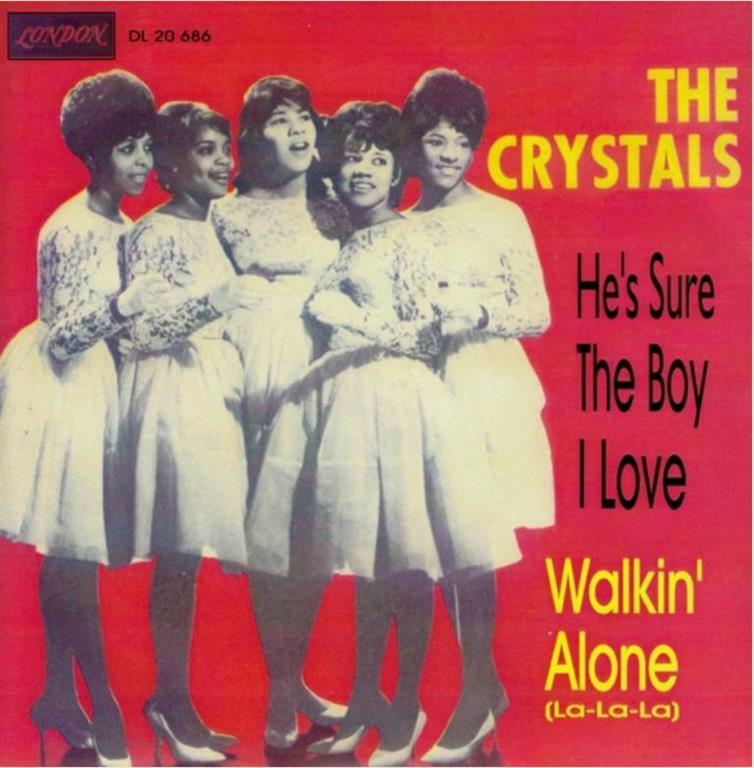 "He's Sure the Boy I Love" is a 1962 single by The Crystals. The song was originally recorded by The Blossoms but credited to The Crystals. In 1962, The Blossoms recorded "He's a Rebel" with Phil Spector. Instead of crediting the song to The Blossoms, Spector released the song under The Crystals without informing the group while they were on tour. After "He's A Rebel" became a hit song, Spector brought The Blossoms back to record "He's Sure the Boy I Love".While The Crystals were on tour, Darlene Love of the Blossoms was asked by Phil Spector to record "He's Sure the Boy I Love". After being discredited from "He's A Rebel", Love urged Spector to give her a royalty contract with a rate of three cents per record. After discovering that Spector had once again discredited The Blossoms from their recording and given their song to The Crystals, Patsy Wright got into a confrontation with Spector. Similarly, The Crystals were angry at Spector for having them sing another song on tour that was not theirs. And he'd be tall and handsome, rich and strong. But he sure ain't the way I thought he'd be.